Groups are where articles are categorized and are publicly viewable. For sensitive information that needs to be restricted, there are Private Groups. The creator of the Private Group will automatically become a member of that group. You can view and edit members from the dropdown menu. You cannot convert a Private Groups to public or a public group to a Private Groups. 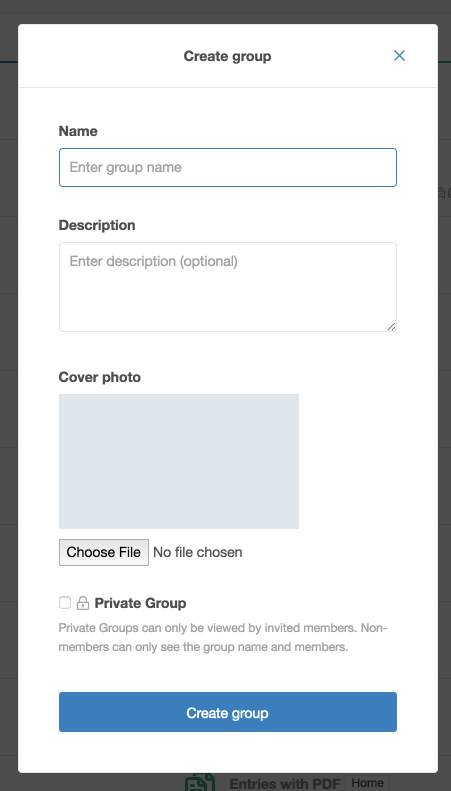 To make the articles public, transfer the articles to a public group then delete the group. Blogs, wiki, and comments are only viewable by members invited to the Private Group. By default, all events for Private Groups are excluded in the webhook. Best practice: Make sure to set the webhook to a private channel! If you don’t, events will be broadcasted to a public channel for your entire team to see, delegitimizing the purpose of the Private Group.